Pedestrian tunnel that runs under 13th Street. Connects the Norman area to main campus, much easier than crosswalk. 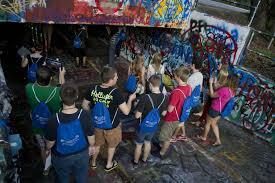 The tunnel is used as a place of free expression, where anyone can add their own graffiti.